Feelings of anxiety are normal and a natural human response to high risk or intense situations. However, some people experience higher levels of anxiety that is unmanageable and interferes with daily life. If this is the case, professional help may be required to manage symptoms. You may have heard people who suffer from anxiety, talk about having anxiety attacks? So, what exactly is an anxiety attack and how does it differ from a panic attack? Many people who suffer from anxiety experience physical symptoms like nausea and a racing heart, with thoughts that are distracting, interfering with the task at hand. However, what differentiates physical symptoms of anxiety, commonly referred to as ‘anxiety attack’ and a full-blown panic attack, is the duration and intensity of the symptoms. 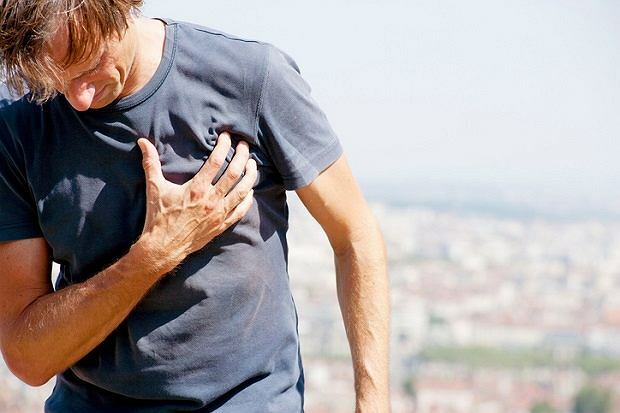 Panic attacks are intensely unpleasant with sufferers often submitting themselves to hospital in fear of a heart attack or other life-threatening emergencies. A person having a panic attack may report periods of intense fear in which 4 or more of the following anxiety symptoms develop abruptly and reach a peak within 10 minutes. People who present with panic attacks may appear as composed, competent individuals with fulfilling lives however, beneath the surface they are enduring extreme discomfort and are often struggling to uphold daily life. Fear of a repeat occurrence is common with people avoiding trigger situations that may cause another panic attack. Unfortunately, avoidance behaviour exacerbates the problem and inhibits the person’s lifestyle choices and social freedom. Tackling the problem front on and accepting the need for professional help really is the best way forward. Psychologists work with the cognitive and behavioural features of the condition in an attempt to deal with the triggers of physiological reactions. By addressing the underlying cognitive features, the cycle of anxiety is frequently broken, and the person is able to learn skills to better manage high anxiety and enjoy a free and fulfilling life. Feeling unmotivated at the start of the year is a pretty normal feeling, especially when you had settled nicely into the relaxing pace of holiday season. Reality can bite even more than your sunburn when you walk back through the office door for the start of another working year. This is normal and to be expected, but if your motivation levels don’t return after a week or so and you are feeling persistently down and out, take some time to assess the cause for the way you are feeling. There are a number of reasons for lack of motivation, one of them is depression. Changing the way, you think about yourself, others and the world, to embrace a more positive outlook, will help you become more self-confident and motivated person. Recognizing when negative thoughts are entering your mind and knowing how to deflect them is an art worth learning. If you struggle with negative thoughts, psychologists and mental health professionals can teach the practice, known as managing negative self-talk. Research the world over preaches the benefits of daily exercising for improving both physical and mental health. It will also help improve self-confidence and provides the opportunity to socialize. Most smart phones have a health app (a little red heart) that count your daily steps, this is a great way to motivate you to achieve your daily activity goals whilst holding you accountable when you’ve been in training for the couch surfing pro series. Isolating yourself is definitely NOT the best medicine, despite how you might be feeling. Socialising with friends and letting them know how you are feeling will mean you are giving yourself the best support network to get over this slump and back on a more positive trajectory. It’s important to cut yourself some slack when overcoming a personal challenge like depression and rewarding yourself, even for the small feats, is a good place to start. Treat yourself like you would treat your best friend, you will end up liking yourself more than you thought you ever would. Whether it be a mini-break a shopping spree or an overseas adventure, having something to look forward to, will go a long way in improving your motivation. Long term goals help you reach your short-term goals and get through the 9-5, in whatever form that may be. Getting adequate sleep can be difficult if you are feeling depressed but changing the way you think about sleep will help to change your behaviour towards sleep. For more advice on sleep, visit this page. Getting professional help, should not be your last resort, your doctor and psychologist can form part of a helpful support network. If you feel your lack of motivation is affecting your daily life and you have seen no improvement in your mood, speak to your GP about a mental health plan. If you have heard these phrases more than once, you may have a potential school refuser on your hands. School refusal is when a child refuses to go to school on a regular basis or has problems staying in school. Children with school refusal frequently complain of unexpected physical symptoms before it is time to leave for school or may repeatedly ask to go to the sick room at school. If the child is allowed to stay at home, the symptoms disappear until the next morning. In some cases the child may refuse to leave the house or be unable to leave the car once at school. Common physical symptoms include headaches, stomachaches, nausea, and diarrhea. Parents should also look out for sleep problems and tantrums. Early warning signs that parents should look out for include: frequent complaints about attending school, absences on significant days (tests, carnivals), frequent requests to go home during the school day, excessive worrying about a parent when at school, frequent requests to go to the sick room because of physical complaints, and crying about wanting to go home. The reasons for school refusal can vary, however school refusal tends to be about avoiding something unpleasant. Sometimes, resistance to attending school is a blip on the radar. Such resistance is common after a legitimate period of illness creating difficulty getting back to school. The young person may be anxious about all the work they have missed. It this scenario, it’s really important not to prolong time at home. Parents can take control by contacting the teacher and negotiating a back to school plan. Similarly, young people can experience blips of anxiety after holidays, especially the long summer break. Other stressors or illnesses within the family can cause school refusal as can academic problems, difficulty with a teacher, changing schools or transitioning to high school. Separation Anxiety: where the child fears that harm will come to their parent while they are at school. Performance Anxiety: where the child fears taking tests, giving a speech, athletic/swimming carnival, physical education class, or even answering a question in class. Kids with anxiety about performance fear being embarrassed in front of their peers. Social Anxiety: some students worry about interactions with peers and/or teachers. Bullying: children want to avoid school because of the real threat of physical and/or emotional harm. School refusal tends to be very stressful for parents as they battle their child’s anxiety about attending school. It can be exhausting to face the daily battle and many parents understandably allow the child to stay at home and do their school work, unknowingly making it more difficult to return the next day. Parents have more control than they think and can try the following in order to assist their children. Make a plan to be clear, calm, and consistent. It should be clear to the young person that the parental expectation is that they attend school all day, every day. Parents can display this by saying: We will do whatever we need to do in order to get you to school; we cannot allow you to stay at home. You have five minutes to get ready for school. Sometimes parents can inadvertently get stuck in a battle with the young person’s anxiety. For example parents may ask if their child is going to school today, they may try and reassure that there’s nothing to worry about. Parents may become frustrated and say things like, why are you doing this you’re upsetting everyone, or we don’t know what to do if you won’t go. Responding to your child’s anxiety just makes it more likely that the child will engage in the same problem behaviours in the future. It can sometimes be helpful to identify for your child that their feelings are controlling their behaviour. You can say, “Your feelings are controlling you at the moment, but they cannot control me”. Try to ensure that your child knows what is expected of them in the morning and keep the routing consistent to eliminate extra last minute stress. If you are sure that the child is well enough to go to school, and then ignore complaints about sickness. Make sure that the child has seen your GP to eliminate any physical cause for their distress. Treat headaches and stomach aches with paracetamol and send the child to school. Plan to ignore any crying or begging. Show the child through your behaviour that going to school is something that you can manage, and so can your child. Talk to your child’s teacher and guidance officer, and enlist support to make sure that your child has the assistance they need to negotiate the school day. This united plan is also important for the child to feel confident that they can tackle their fears. I find that once school refusal has become a problem, a really useful step is to have the parents take the young person to school every day. We all tend to lead busy lives, but this short term commitment from parents can lead to huge gains and is really worth the juggle. Importantly, don’t stay at school or allow calls and texts during the day. You want to model confidence. You can encourage your child to be well rested, with adequate nutrition on board. Exercise is a great stress buster so a morning walk, run, swim, shooting hoops etc can be useful. You can encourage your child to take deep, slow breaths. Some like to imagine peaceful scenes and some like to listen to music. Distraction is another great way to manage anxiety so that your child’s attention is not focused of their worries. Have your child doing things they enjoy to keep their minds busy. The reasons for school refusal are varied. The longer a young person is able to avoid school, the more difficult it can become to treat so it’s really important to identify and intervene early. A Clinical Psychologist can help to identify the reasons for school refusal and develop a plan for returning to school with the family and school. I was sitting with my little boy the other day and out of nowhere, with real anguish on his face, he said, “I don’t WANT the holidays to end!” He needed a little hug and some reassurance, so I kept my thoughts to myself. I didn’t either! And I think we all know that feeling. Going back to work after the weekend can be hard enough. We even have a medical name for it…Mondayitis! But returning to work in the New Year can be a very difficult transition for many of us. We’ve settled into holiday mode: spending quality time with family and friends, enjoying late breakfasts, relaxing at the beach and afternoon picnics. Suddenly reality hits – it’s time to go back to work. For many Australians, returning to work can be a bit of a downer, and it can provoke a case of the ‘return-to-work blues’. This is a really common experience and we can forgive ourselves for going through a little bit of the blues. And should pass within a YEAR or so…umm, actually, within a week people usually find themselves back into the swing of things! Here are some helpful ways to make this transition a little bit easier. Cut yourself some slack. Ease back into your first week with slightly shorter hours and a less demanding workload, where possible. Be kind to yourself. Imagine your own kids and the way they find going back to school hard, and support yourself a little bit like you might support them. Take time to plan and set goals for the year, both personal and work. This is a real opportunity to stop and think about what you want this year to be like. I’m not really referring to New Year resolutions. More just giving yourself a chance to think about your goals and identifying what you want to get out of the year. Look after your health – exercise regularly, eat well, Look after your sleep and drink lots of water. This is a new beginning, and there is a bit of a long road ahead, so getting into routines and habits early with balanced lifestyle can help to sustain the work ahead and make it more enjoyable. Make a plan for the weekend, something to look forward to. In fact, have a think about other recreation or holiday plans for the coming months. Having little things to look forward to along the way can be very helpful. For some people, this time of year can be very difficult and a simple case of return-to-work blues can develop into a very real case of anxiety and depression. 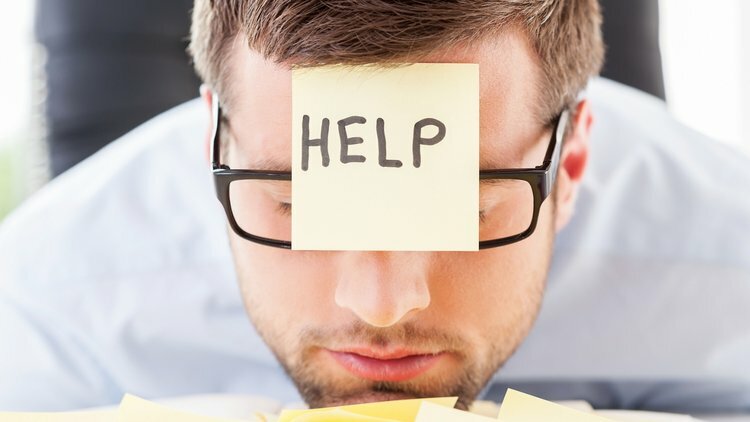 So how do you recognise when the return-to-work blues have become something more serious and what can you do about it? Most people will experience low mood at some point in their lives. However, if you are feeling down most of the day nearly every day and/or have lost interest in the things you used to enjoy, you should discuss this with your GP. Take note of any physical changes such as loss of appetite, weight loss/gain and increased/decreased sleep. Are you becoming more withdrawn, turning down social invitations and no longer getting enjoyment from things? Talking to people about your concerns and getting support from a trusted work colleague can offer a different perspective, reduce isolation and help you connect with the right people to help you best manage the situation. 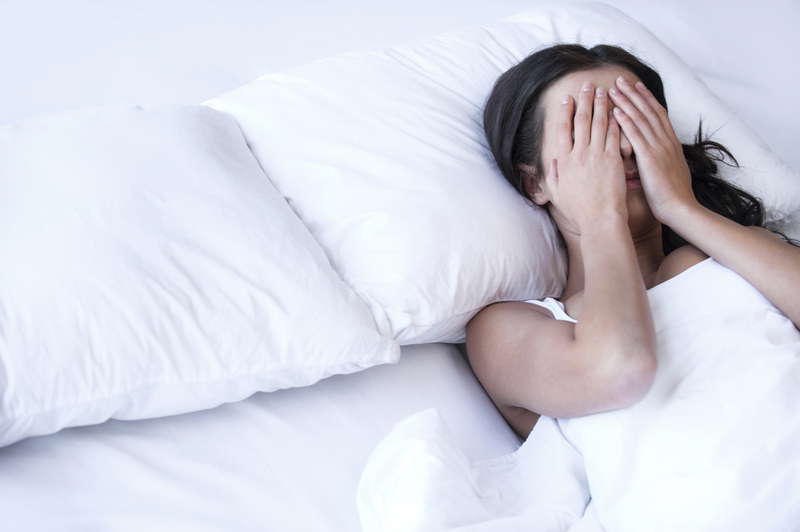 Experts suggest that 60-80% of sleep problems derive from stress, worry and anxiety. Most people could relate to this, having experienced a bout of insomnia when stress levels are high and this is unavoidable; a normal part of modern life. However, if the insomnia cycle continues regularly, perhaps you need to assess your stress and worry quota. Insomnia is complex, as it’s not just a physical disorder; it encompasses our whole being including our emotional and psychological state. And while stress and worry are in the naughty corner, we should reiterate that worrying during the day about a lack of sleep at night is totally counterproductive and will only heighten anxiety levels at night. But perhaps if we practiced a greater level of self-awareness by knowing our personal limits, we could control stress levels and enjoy a better night’s sleep? Does your life need a clutter cleanse? 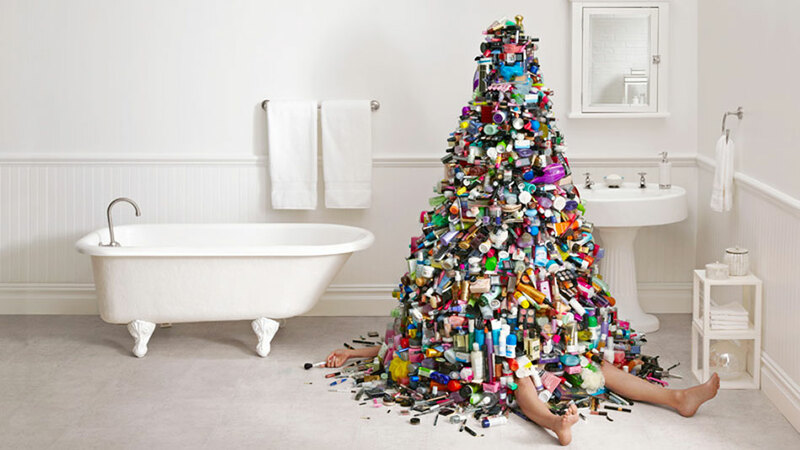 What better time to declutter your life than the silly season! Sounds kind of boring, but you won’t be bored with the clarity it will bring, paving your way to a more organised life, where you will always know the location of your keys, socks will always have a pair, hair brushes will never be AWOL and bills are always paid on time. Okay so maybe it is a little unrealistic to think life will always run that smoothly, but if you have time to spare over the summer break, in addition to your post-xmas food and beverage cleanse, consider a clutter cleanse. It is a seriously satisfying experience! Firstly, we must differentiate between living in a state of clutter and a more extreme condition, that is hoarding. Hoarding is a clinical disorder in which clutter has taken hold of the household with social, emotional, financial and psychological impact. Clutter, on the other hand is within a normal spectrum of human behaviour and comes from our love of things and an aversion to discarding of our valuables. The trick is in defining ‘valuables’ and thinking about the real purpose of the things we are holding onto that are contributing to the chaos of domestic life. Our things, carry emotional baggage and even at a glance can conjure a myriad of feelings, good or bad. Whether it’s a cluttered closet, the bathroom vanity the overflowing toy box or a Tupperware draw with items dating back to 1962, they all hold emotional value. Duly noted, that some people thrive on chaos and operate quite effectively with a cluttered household or office. However, for the majority of us, getting rid of things and decluttering your life can be extremely satisfying and lead to greater productivity in your home and work life. So, without further ado, here are a few steps to kick start your clutter cleanse. Write down what you want to achieve from your decluttering project and put it somewhere visible on the fridge. List the new rules and processes for how to maintain a decluttered kitchen/wardrobe/study desk etc. Share the burden. Fair chance you didn’t create all the mess on your own, so if you have kids, a partner or a flatmate, get them in on the act. Pick the area that irks you most and start there. If it’s a wardrobe, don’t hold onto things that you haven’t worn in years with the hope they might come back in fashion. The sentiment of ‘but I might need it’ is what got you here in the first place. Don’t try to clean up the whole house in one day but do complete each area now and not later… after all procrastination is really just another word for clutter. When you’ve finished, give yourself a pat on the back and bask in the high that a clutter cleanse brings. Who ever thought it would be so interesting to research, analyse and write about boredom. It certainly is a hot topic with academics all over the world spending time analysing the human response to boredom. Heck there was even a conference held in London this year called ‘The boring conference’…. It was a sell out! So why do adults and children alike have such an aversion to being bored and how can we embrace a state of mind that can have so many positive outcomes, like reducing stress, improving cognitive function and inspiring creativity. Technology takes the blame for a lot of human conditions and disorders, like behavioural disorders, anxiety and depression. So why we are bagging on it, let’s also assume that our addition to technology significantly contributes to our inability to embrace the mundane and just do nothing (and that’s nothing without your phone in your hand). With the impending Christmas break approaching, what better a time to give boredom a go. Try just sitting without any phones or devices, being still and observing the environment and the beauty of nature. You will be surprised what your mind unravels; it may lead to personal reflection, a creative thought, or even a total stroke of genius. It has been said that some of history’s greatest geniuses, Albert Einstein and Issac Newton, to name a few, were great daydreamers. By embracing boredom, you will also be setting an excellent example to your children who are so used to being stimulating that the idea of being bored it utterly repulsive. So, if you hear the phrase “I’m bored”, these school holidays. Make your response- “Great, let’s be bored together”. 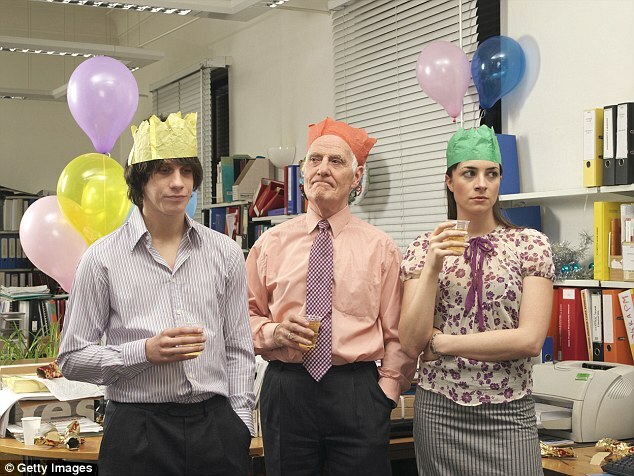 Are Christmas parties your worst nightmare? It’s that time of year again and for many of us, that amounts to lots of festive cheer, socialisation and fun. However, for some people, the popping of champagne corks is not a sound of joy but rather a frightful cue to ‘exit stage right’. Social phobia or social anxiety disorder is real. It affects roughly 10% of Australian’s with women representing the majority at a 3:2 ratio. It’s not just a feeling of shyness around new people or nervousness when speaking publicly. It’s a disorder that can majorly impact the way a person lives their life, which is why it is so important to face your social fears by enlisting professional help, to tackle these personal battles and start living life to its fullest. People with social phobia, will often avoid social situations (such as Christmas parties) that can bring on feelings of anxiety. Unfortunately, this only exacerbates the problem, with the avoidance generally leading to social isolation, which can make symptoms worse. Symptoms are often physical, like, perspiration, trembling, blushing and nausea and can therefore make the person self-conscious and hyper-aware. The vicious cycle continues as the negative voice inside preaches his sermon and the situation becomes more intolerable. So, let’s stop right there before we convince ourselves that the Christmas party is definitely NOT a good idea and talk about some strategies for how to kick social fears to the curb. Firstly, don’t believe everything you think. It’s the inner negative nelly that often leads to irrational thoughts and therefore avoidance behaviour. Learning how to recognise when the inner voice starts to talk negatively and finding ways to shut it down, will help you realise that the source of many of your fears, are irrational and not real. Once you feel comfortable with the control you have on negative thoughts and irrational fears, gradually exposing yourself to social situations, as scary as it may seem, is helpful in the long run. Taking baby steps is the best way when undergoing what is called ‘exposure therapy’, a fancy term for facing your fears. If large social situations are your worst nightmare, starting with a smaller scale gathering, where you feel more comfortable and in control, is the right stepping stone to a bigger event. Therapy for social phobia often involves physical techniques that help control symptoms of anxiety, like relaxation, breathing and repeating inner mantras. Understanding the reasons for social anxiety and how to control the bodies reaction to it, will help you feel more in control of yourself and the situation, and therefore psycho-education often forms a large part of therapy. To learn more about anxiety visit this page, or to seek professional help from one of our clinical psychologists, visit the team page of our website. 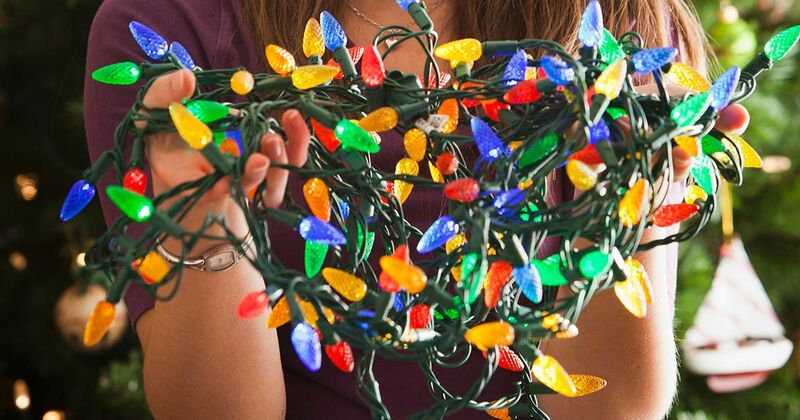 Let’s talk about Christmas stress. Stress is a serious matter and a major cause of physical and mental health issues in our country. According to the Australian Psychological Society’s ‘stress and wellbeing survey’ (2014); financial issues and family issues remain the leading causes of stress amongst Australians. So, the precarious combination of Christmas and family can for some people, open the flood-gates, with a stress-nami of financial and emotional stressors, getting in the way of what should be a fun-filled, happy time of year. Now if someone can please tell Ebenezer Scrooge to leave the room, while we put a more positive spin on Christmas and how to stress less about it. Christmas brings with it a lot of expectation. As a child, we eagerly anticipate Father Christmas’ arrival and go to bed dreaming of what the big day might bring. Fast forward however many years and many of us still have fanciful ideas and expectations of Christmas day and whether you are playing host or guest, there can be a lot at stake. If you break it all down, they are by-large first world issues based on material things, that at the end of the day, don’t really matter. “Will the turkey be perfectly browned; will Grandma comment on the miss-matched Bon Bons; have I bought enough beverages; and will there be an encore to last year’s family political dispute”; can all amount to a large serving of unnecessary stress. Getting back to basics by thinking about what really matters means leaving stress boxed up somewhere next to the infuriatingly tangled fairy lights. And if it’s not you that stresses, but perhaps a particular family member (no names mentioned), passing on this helpful advice may lead to a more relaxed time for all. Make a list and check it twice. (Sorry, couldn’t go past it) Planning takes the stress out of most events, Christmas is no exception. Make a budget and don’t exceed it to avoid financial stress. Exercise! Consistently shown to be a proven stress reliever. Don’t sweat the small stuff. Remembering that no-one is going to starve to death or be horribly disappointed if the napkins don’t match may help you keep things in perspective. Get enough sleep. 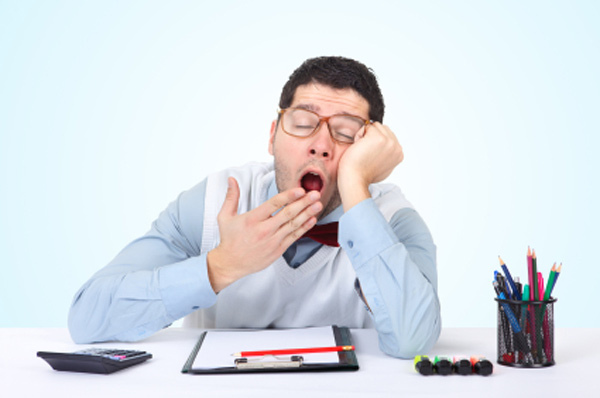 Lack of sleep can lead to stress, especially when there is more pressure. Of course, some people experience stress at Christmas that is warranted due to more serious issues, like financial hardship or illness and during this time, may benefit from an extended network of support and professional help. For thousands of teenagers across the nation, this week marks the start of their free life, leaving school and experiencing the real world. Equally for thousands of parents this week brings a great deal of stress and anxiety as their children set off for schoolies week. As difficult as it can be to communicate with your broody teen, talking to him about setting boundaries, peer pressure, drugs and drinking is an absolute must. 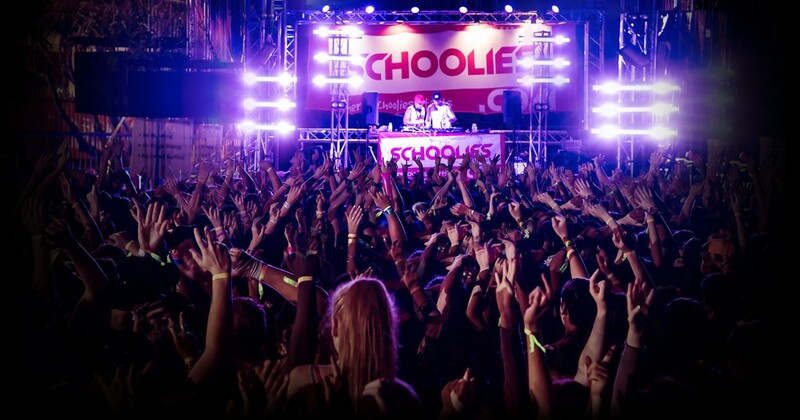 Clinical Psychologist, Dr Stan Steindl, director of Morningside practice Psychology Consultants provides some useful tips to parents on dealing with schoolies week and the challenges that lie ahead. He comments that although it’s unrealistic to expect your teen to not drink, studies show that adolescents drink less and have fewer alcohol-related problems when their parents discipline them consistently and set clear expectations. “It is also important to emphasise the negative effects of drugs and alcohol. One finding of a recent study showed that if we, as a society, “expect” teens to experiment with alcohol, they likely will,” he said. Dr Steindl stresses the importance of being savvy. Knowledge is power and your teenager will love to think you are clueless. “As a parent, you need to balance firmness without being a micro-manager. It’s important to not overreact if boundaries are crossed and mistakes are made”, he said. According to the Australian Medical Association approximately 90 percent of people have tried alcohol by the age of 14, and most Australians have consumed a full serve of alcohol before the age of 16. In 2004, people in their 20’s were more than twice as likely to have consumed alcohol by the age of 14 than were people in their 40’s and 50’s. There are indications that early initiation to alcohol use is related to more frequent use, higher consumption levels and the development of alcohol-related harms in adulthood, including mental health and social problems.